Dress for the job you want, not for the job you have. This includes makeup! Learning how to create the perfect smoky eye is great and all. But learning how to maintain a clean makeup look while sweating for hours is far more valuable. There are a million videos on YouTube that can help you improve your makeup application skills and that can offer you creative inspiration. Few, however, will teach you how to get your makeup to stay in place through long and grueling auditions. So let’s get to it. Before we start, remember that proper skin care is essential. Makeup can only cover up so much. In addition to drinking plenty of water, you should make regular use of exfoliators, cleansers, serums, and moisturizers that work for you. If you have no idea where to start with a skin care routine, go to an Ulta Beauty or Sephora and talk to the store associates. Give them an idea of what you’re looking for and tell them your price range. There is something for everyone, no matter your budget. If you notice that your products aren’t working, then you may have see a dermatologist to get more extensive care. It is a crime not to prime! Primer serves two main purposes. First, it’s a preparatory layer that acts as a barrier to protect your skin from the other products that you put on your face. Second, it helps hold your makeup in place all day. There are tons of great full-face primers. Some of these full-face primers can help specifically with minimizing pores, color correcting, oil control, etc. And some primers out there can do more than one thing. The options are endless, which can make selecting the right primer a little difficult. For those of you who have lots of on-camera auditions, my recommendation would be to get a primer that minimizes your pores. Pore-minimizing primers will give you a nice, clean look on camera. I highly recommend the Benefit Porefessional, because there is a formula for normal skin and one for oily skin. I also suggest buying an eye shadow primer. Some people use a normal primer on their eyelids. But regular primers don’t hold eye shadow pigment as well as an eye shadow primer. I know that this means buying yet another makeup product. But it’s worth the money and the primer should last for months. I recommend the Urban Decay Eye Shadow Primer Potion. Now, if you really can’t stand fake eyelashes, then you will need an eyelash primer that holds the mascara securely. As a reminder, before applying a primer, curl your eyelashes up to the gods with an eyelash curler. After that, feel free to apply the primer generously while pulling the lashes up. I really like the Lancôme Cils Booster XL Vitamin-Infused Mascara Primer. This formula is white in color—so you will need to paint your favorite mascara over the primer to have dark eyelashes. To be completely transparent, I don’t see a huge difference when I use a setting powder. This might have more to do with my skin type than anything else. So I’m not discouraging or disparaging the use of setting powder. In fact, when I go to an audition or have to look presentable for a long period of time, I will still use powder. At the very least, it’s another protective layer to help keep the makeup in place. Furthermore, not only will I bake under the eyes, I will also do so wherever my makeup tends to breaks first (e.g., on my nose). Product-wise, I recommend the Laura Mercier Translucent Loose Setting Powder. Setting spray is one more layer of defense to keep your makeup from fading. It is especially useful on days when you’re changing clothes as you go from one audition to the next. The spray will help prevent your makeup from rubbing off on our clothes. Again, there are many setting sprays out there that achieve different goals. Some excel at oil control while others are hydrating or long lasting. I personally like the Wet n Wild Photo Focus Matte Finish Setting Spray. If you have multiple auditions in one day and plan on changing your lip color throughout, then I suggest not using a liquid or matte lipstick. If you keep makeup remover with you, then you should be able to get away with it. Make sure you remove the lipstick completely before applying the new color. Otherwise, your lips could look a little funky. On the other hand, if you are NOT planning on changing lip color, then liquid and matte lipsticks are perfect for auditions. In terms of color, try a few out to see what works best for you. It’s always good to have a few “sophisticated” colors on hand. But remember, your priority it to dress the part. More likely than not, you wouldn’t see a Disney character wearing black lipstick. So if you’re auditioning for Disney, don’t wear that color. Pretty simple, right? I also don’t recommend wearing gloss to an audition, especially if your hair is down. You don’t want your hair to stick to your lips and then drag the lipstick and gloss onto your foundation. That’s not cute. This is why, when possible, you ought to use liquid or matte lipsticks. These kinds of formulas and finishes won’t move while you are dancing and flipping your hair around. I recommend NYX Lip Lingerie. If you plan on doing a smoky eye for an audition, don’t use black and grey eye shadow. It doesn’t look good on camera and in person, it makes you look tired. Instead, try using shades of plum to darken the outer edges of your eyelids to give you the smoky effect. Always carry makeup remover, cotton swabs, and cotton balls. 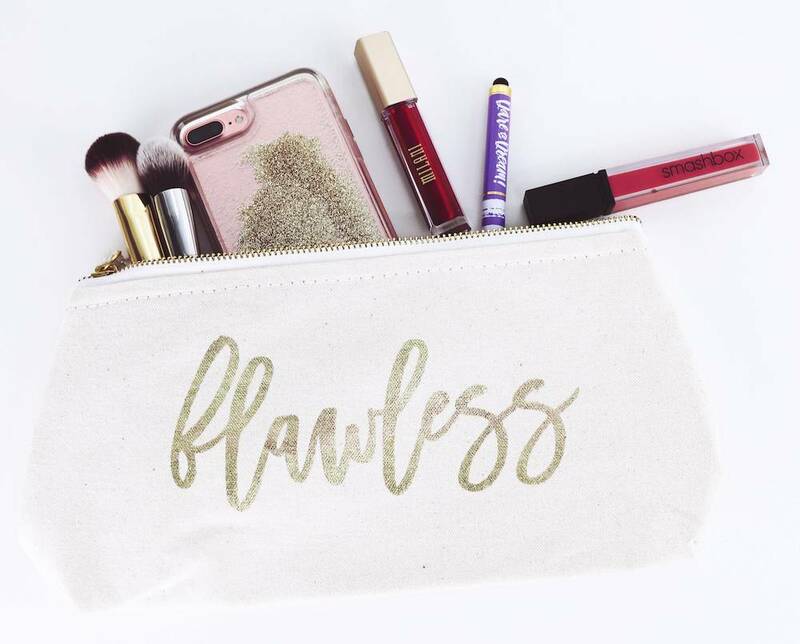 These things are essential when you need fix your makeup on-the-run. BLEND BLEND BLEND. Blend your foundation. Blend your eye shadow. Clean your makeup brushes once a week to ensure that you are getting the truest pigment from your makeup. Don’t try a new makeup look the day of an audition. Always practice beforehand! Some of your everyday makeup products can be used for auditions. Try it out. Wear your normal makeup to a dance class. How does it hold up with the sweat? For all my friends who get a tomato face when they dance, the secret is the IT Cosmetics Bye Bye Redness Correcting Cream. Makeup is expensive. Buy sample sizes to try out different products until you find the ones that you absolutely love. Always take your makeup off at night so that it doesn’t clog your pores and cause breakouts. When it comes to dancing in makeup, it’s trial and error. Don’t feel pressured to buy the most expensive products on the market. Talk to friends, watch YouTube videos, and read product reviews. Walking into a makeup store can be overwhelming. But if you do your research, you can feel a little bit more confident when conquering this world. Take the time to figure out what works for your beautiful, unique self.